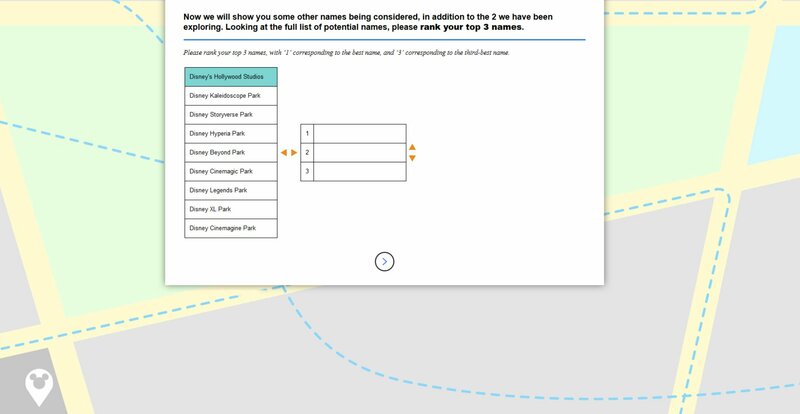 A reported Disney survey hints at some of the names Disney is requesting feedback on with regards to a Disney’s Hollywood Studios rename. 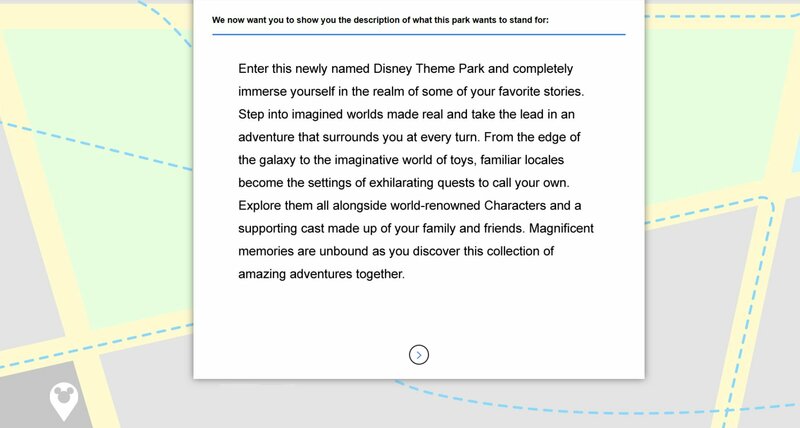 Before we get to the names, let’s take a look at the working description for the refresh of the park. Disney went on to ask guests to rank a few of the names they’ve been exploring. They then broke down the survey further, asking guests to rank what they thought of the new names with regards to various categories. Disney’s own CEO, Bob Iger, essentially confirmed a name change for the park during a 2015 Shareholders meeting when he said they can’t announce the new name just yet. It appears that the name isn’t 100% locked in yet, if this survey is any indication.